The Claims Conference Saul Kagan Fellowship in Advanced Shoah Studies is an international program that supports Ph.D. and Post-doctoral students focusing on Holocaust research. The Kagan Fellowship program funds research and writing, allowing scholars to travel to Holocaust-related archives, many of which have not been closely examined by other researchers. Originally named The Shoah Teacher Fellowship Program, the fellowship was funded by the Claims Conference Board of Trustees in June 2003. The Fellowship Program began funding Ph.D. students in 2008 and was named after Saul Kagan, Claims Conference Executive Vice President Emeritus, in July of 2010. The program was expanded in 2013 to include the funding of Post-doc candidates. The program receives many inquiries every year, resulting in an average of 30 completed applications for up to nine Kagan Fellowship awards. The Fellowship Admissions Committee, which is comprised of recognized Holocaust scholars, meets annually in the spring to review all applications and chooses the new cohort of Kagan Fellows. The maximum award amount is $20,000 per year and the award term is, initially, one year. An awardee may be eligible to apply for renewal for the following year. Other than attending the summer week-long conference, there is no residency requirement. Current fellows are exploring topics including: a comparison of Jewish involvement in the Partisan Movements in Lithuania, Belorussia and Ukraine (1941-1944); an examination of new literary works published through the Yiddish press in German Displaced Persons camps; understanding the elderly in the context of family life in the Lodz and Vilna Ghettos. The in-depth research being conducted by Kagan Fellows is expected to shed light on previously unexamined aspects of the Holocaust. The Kagan Fellowship Summer Workshops are a huge highlight of the Fellowship Program. The Kagan Fellowship Academic Committee professors and the fellows come together to share their scholarship, learn from each other, exchange ideas, and form a community within the field of Shoah studies. The summer workshop is alternately hosted by Yad Vashem in Jerusalem and the United States Holocaust Memorial Museum in Washington, D.C. Guest speakers, Holocaust survivors, former Kagan fellows, and world renowned Holocaust scholars come together to celebrate continuing Holocaust scholarship and share ideas. 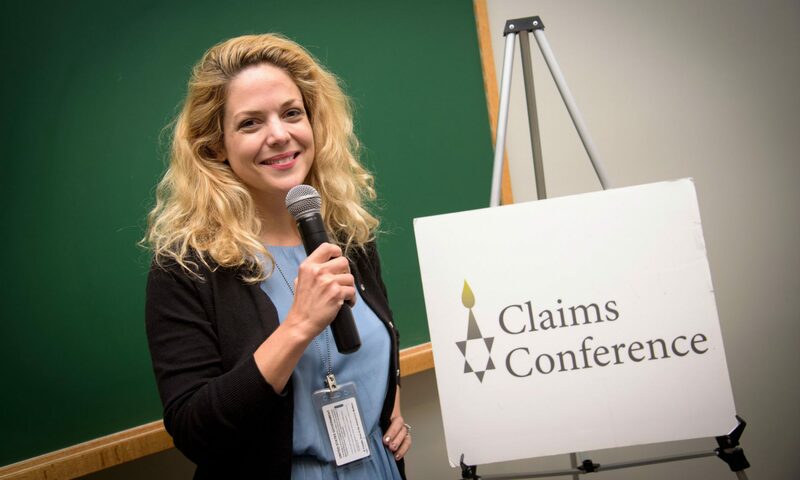 The Claims Conference covers all expenses related to travel and lodging for the summer workshops. The 2012 Fellowship summer workshop was hosted by Yad Vashem International Institute for Holocaust Research. Kagan Fellows pursuing PhDs in academic fields such as History, Sociology, Political Science, and Judaic Studies hailed from Germany, Hungary, Ukraine, Poland, Romania, Netherlands, Israel, Canada and the U.S. These esteemed Fellows utilized newly uncovered archival material to present on thought provoking topics ranging from religious issues, to responses of local governments, to the coping mechanisms of Jewish survivors, and covered areas all over Europe and Russia. Yuri Radchenko of Ukraine was able to access former KGB records in his research into the extermination of Ukrainian Jewry in the Front Zone. 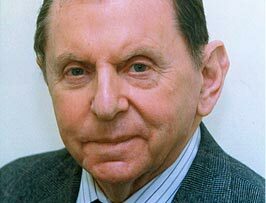 Ion Popa of Romania had the opportunity to uncover documents from the Romanian Orthodox Church, aiding his studies in the historical development of and the core reasons for Holocaust denial in Romania. Ella Florsheim of Israel spoke about her research of Yiddish writers in the DP camps. Fellows were able to gain broader perspectives on their topics, as well as on Holocaust research and historiography from the valuable feedback and discussions moderated by world renowned veteran scholars in Holocaust history. Contributions from peers and professors alike not only enhanced this academically rewarding experience, but also encouraged greater expansion of and progress towards the presenters’ dissertations. Furthermore, the broad scope of networking opportunities with peers and established, highly regarded scholars continues to provide Fellows with access to other prestigious, internationally renowned conferences and unique research and teaching opportunities. Also remarkable was how peer and veteran scholar input from the previous year’s workshop, held at the United States Holocaust Memorial Museum, had been integrated into and enriched the work of second year, highly skilled Kagan Fellows. Workshop dinners included inspiring and distinguished speakers such as Dr. Yehuda Bauer, Professor Emeritus of History and Holocaust Studies at the Avraham Harman Institute of Contemporary Jewry at the Hebrew University of Jerusalem and academic advisor to Yad Vashem, who discussed the history of the Eastern European shtetl between the two World Wars and up to the Holocaust. Fellows agree that the Kagan Fellowship overall provides them with the distinctive opportunity to focus solely on their research, and lays the foundation for development and advancement in professional and academic Holocaust research and teaching careers.